Our newest formulation and the result of many years of field testing and research. 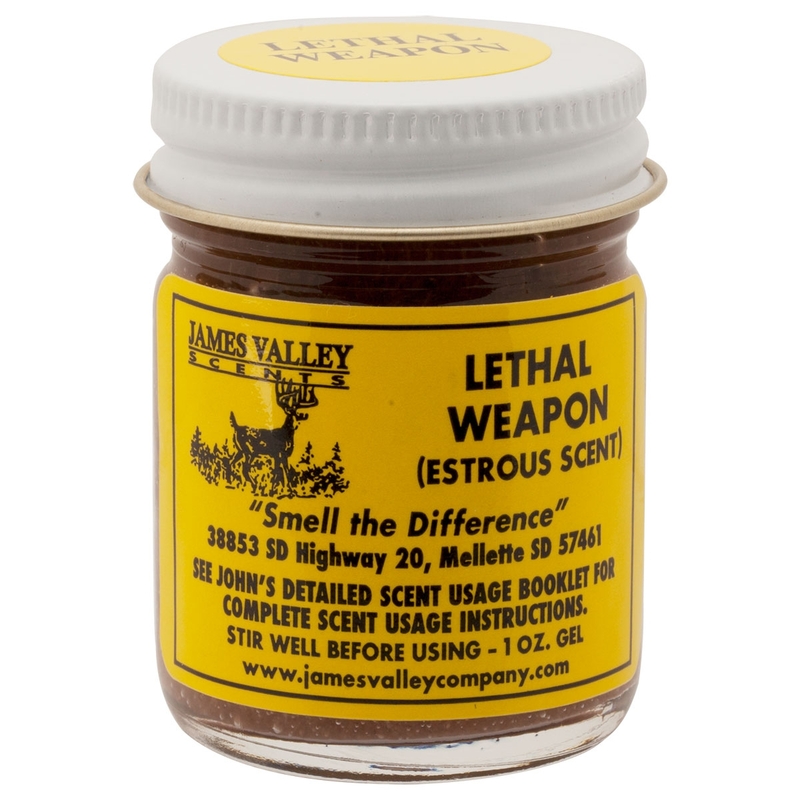 LETHAL WEAPON is a magical combination of buck and doe glands, estrus urines and "smells" that attract and entice trophy bucks, young bucks and does. 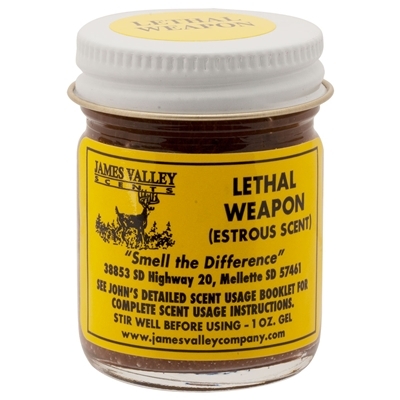 Best used at tree stand locations and for making scent trails during the pre- and full-rut periods of the breeding cycle.